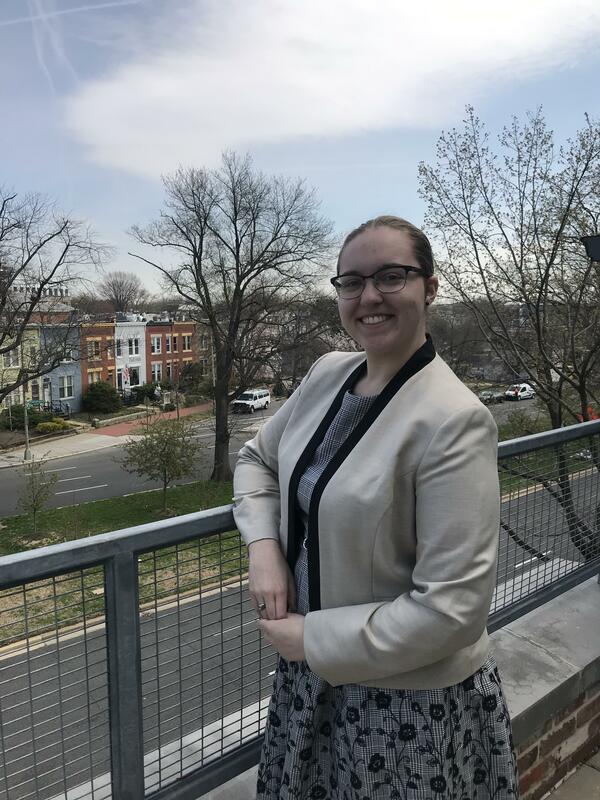 Hello everyone, my name is Sarah Prairie and I am the Recruitment and Outreach intern for FLOC. I am a sophomore at Siena College in Albany, NY studying at American University as part of their Washington Semester Program. This program gives students from across the world a unique opportunity to intern in our nation’s capital and to take classes for a semester. Back at Siena College, I am a history with a minor in international studies. Honestly, I wasn’t sure where I wanted to intern, the array of options and opportunities was amazing, partially overwhelming. As cheesy as this may sound, FLOC found me. Prior to starting my internship at FLOC, I never thought of pursuing a career in recruitment and outreach. Meeting new people and recruiting, especially attending the volunteer fairs has been unexplainably rewarding, especially for what Floc does and stands for. The volunteer fairs are my favorite thing to attend overall. I have become more confident in conducting business and presenting, I always do it with a smile! Recruitment and outreach requires strong communication and networking skills, something I didn’t know I was actually really good at. This being my first internship, I wasn’t sure what I wanted out of the experience but I believe I have found a new possible future career, now one of several I have planned. You could say I shoot for the stars! FLOC made me realize how much I love children and want to make an impact. If the cards are right, I plan to obtain a masters degree and teach urban youth for a few years and help improve education on the local level. Then return to my hometown and make a larger impact there as well. My end goal is to obtain a Ph.D. and become a historian but I plan to do more along the way. Until I obtain my masters or Ph.D, I hope to have a career in recruitment and outreach for nonprofits.